Postcard showing the 'Head of Procession approaching the Grand Stand. 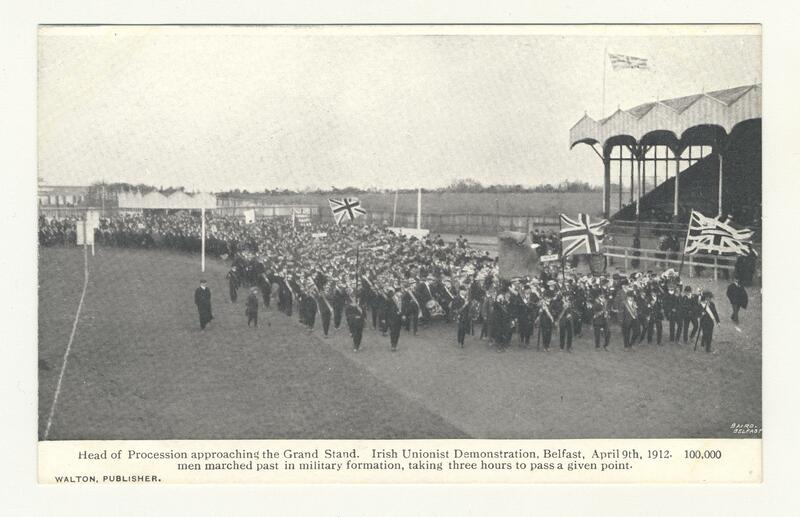 Irish Unionist Demonstration, Belfast, April 9th, 1912.' 100,000 men marched past in military formation, taking three hours to pass a given point.